Foreign nationals that are convicted of any alcohol-related driving infraction, such as driving under the influence (DUI), driving while intoxicated (DWI), driving while ability impaired (DWAI), or wet reckless driving may be considered criminally inadmissible to Canada and refused entry at the border. It is possible to overcome criminal inadmissibility with a Temporary Resident Permit (short-term solution) or Criminal Rehabilitation (permanent fix), both of which can allow an American with a DUI to cross the Canadian border. It may also be possible for a visitor to be considered "deemed rehabilitated by the passage of time" if they have only one conviction from long in the past. Before December 2018, a US citizen or resident with a single DUI or similar offense on their record (misdemeanor criminal conviction or traffic infraction) may be considered deemed rehabilitated according to Canadian law if they paid all fines and successfully completed all probation at least ten years prior. Any other court-ordered conditions, such as attending a Mothers Against Drunk Driving (MADD) Victim Impact Panel or alcohol education classes, must also have been fulfilled a minimum of ten years before attempting to cross the border. Canada's DUI entry rules have since changed for visitors with an old offense! Beginning in December 2018, a DUI is now considered a serious crime in Canada punishable by up to a decade of imprisonment (an increase from a maximum penalty of five years in jail). As a result, impaired driving is now treated as serious criminality under Canadian immigration law and such offenses no longer qualify for automatic Deemed Rehabilitation after ten years. This means an American with a single DWI can now be denied entry to Canada regardless of how long ago the offense happened. 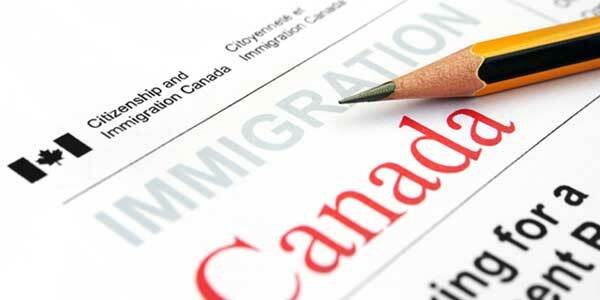 Foreign nationals who were considered deemed rehabilitated by the simple passage of time before Canada changed their DUI laws on December 18th, 2018, may still be able to travel to the country without obtaining a Temporary Resident Permit or Criminal Rehabilitation, but should always consult with a Canadian immigration lawyer to determine if they may qualify for grandfathered Deemed Rehabilitation. Before the laws were updated, a visitor to Canada with an old DUI was not always required to prove to border security that ten years had passed since all court-imposed requirements were satisfied. Now that Canada considers a DWI to be a severe criminal offense, however, any visitor who has ever been arrested for impaired driving should expect thorough scrutiny at the Canadian border. Even if your DUI happened 20+ years ago, if you wish to minimize the risk of a border denial it is advisable to have a Canadian immigration lawyer write a legal opinion letter explaining precisely why you should be considered admissible to Canada. Remember, entry to Canada is always at the discretion of border officials and the onus is on the visitor to justify their admittance. In some cases, a visitor may also need a copy of their FBI Police Certificate to prove to Canada Border Services Agency (CBSA) officers that he or she has no criminal convictions in the past ten years. If you have two or more DUIs or a felony conviction, Deemed Rehabilitation Canada may never apply to your situation and you could be turned away at the border regardless of how many years have elapsed since the incident. Impaired driving offenses that involved major property damage or injury to others can also be excluded from Deemed Rehabilitation, even if all sentencing was completed more than ten years before Bill C-46 came into effect. Americans with more than one DUI will almost always need to apply for Criminal Rehabilitation or a Temporary Resident Permit even if it has been decades since their last arrest. Questions about how to enter Canada with a DUI after ten years? Contact our legal team today for a free consultation. Please note: It has come to our attention that there are a few websites claiming foreign nationals will automatically be considered deemed rehabilitated five years after their DUI provided they did not spend any time in jail. This is simply not true! Impaired driving can be prosecuted as an indictable offense in Canada, which means visiting Canada with a DUI after five years still requires an American to obtain special permission. Deemed Rehabilitation after five years only applies to a person with two or more summary convictions, not an individual with an alcohol-related driving violation. Since the regulatory framework around entering Canada with an old DUI has recently changed, please be aware that a substantial amount of info available online may not be up to date with current laws.